We recently introduced five themed wedding supplies when we noticed how trendy they have become in recent times. We also gave some legit reasons why you should be considering them. This is a good time to refresh your memory with this post on themed weddings. 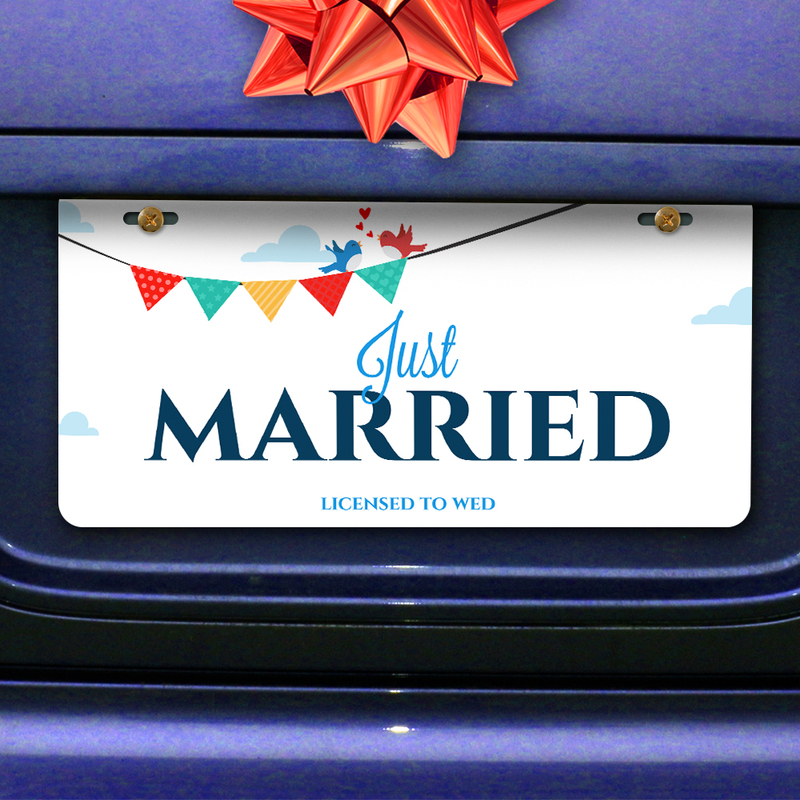 So, you might be wondering what exactly makes up our custom Greetings World wedding supplies. Well, look no further. We’re here to show you. 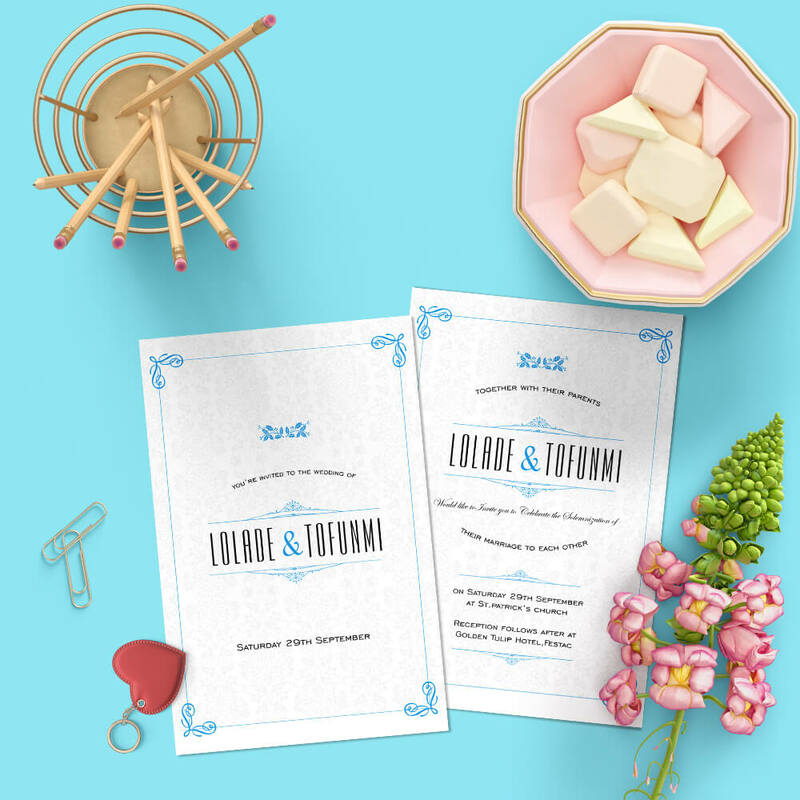 The wedding supplies are made up of six stationary items which can be personalized individually. This stationary item features art decor styled patterns with gold foil finish on a rectangular 300 gsm gray luxury card. 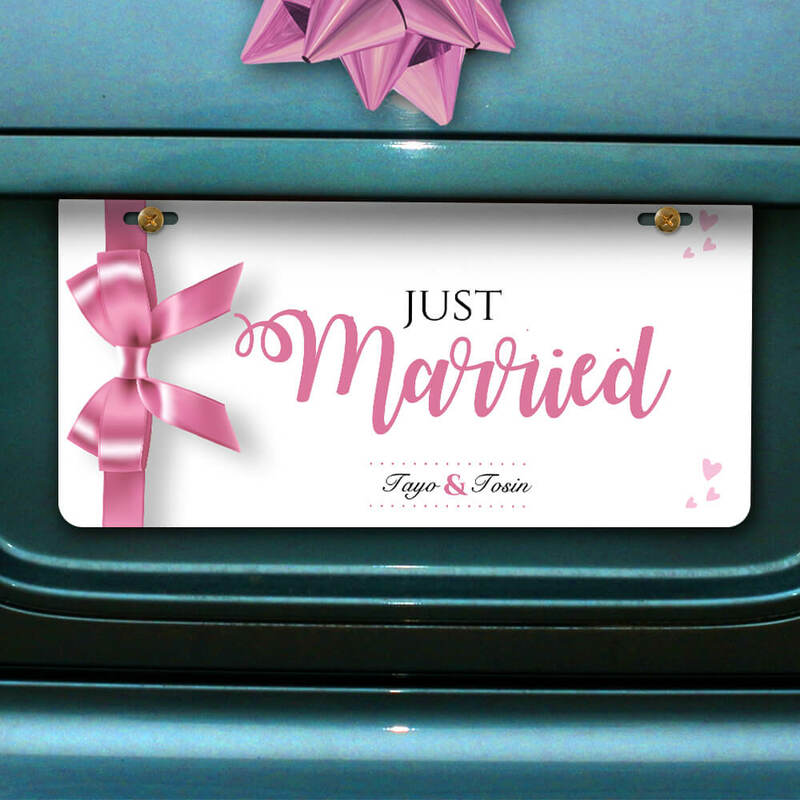 The couple names, special occasion, venue, date, time and color of the day will be personalized on the front of the wedding invite spot colored in gray. The back of the wedding invite is blank. Each wedding invitation comes with a gray fitted envelope. 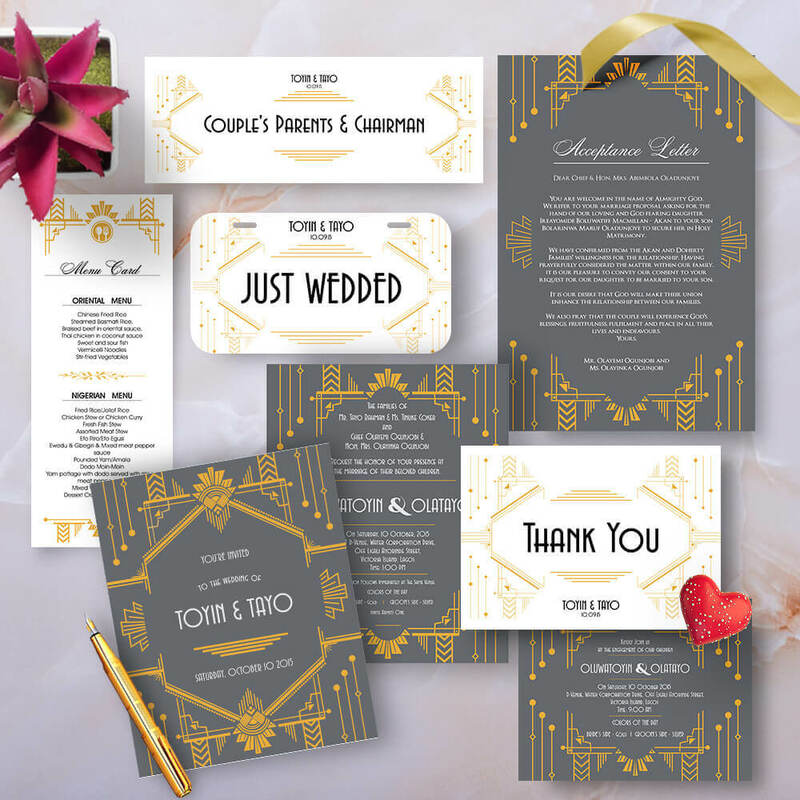 The front cover of the themed wedding program features art décor styled patterns with gold foil finish on a gray luxury card while the inner pages are made up of 175 gsm matte papers. 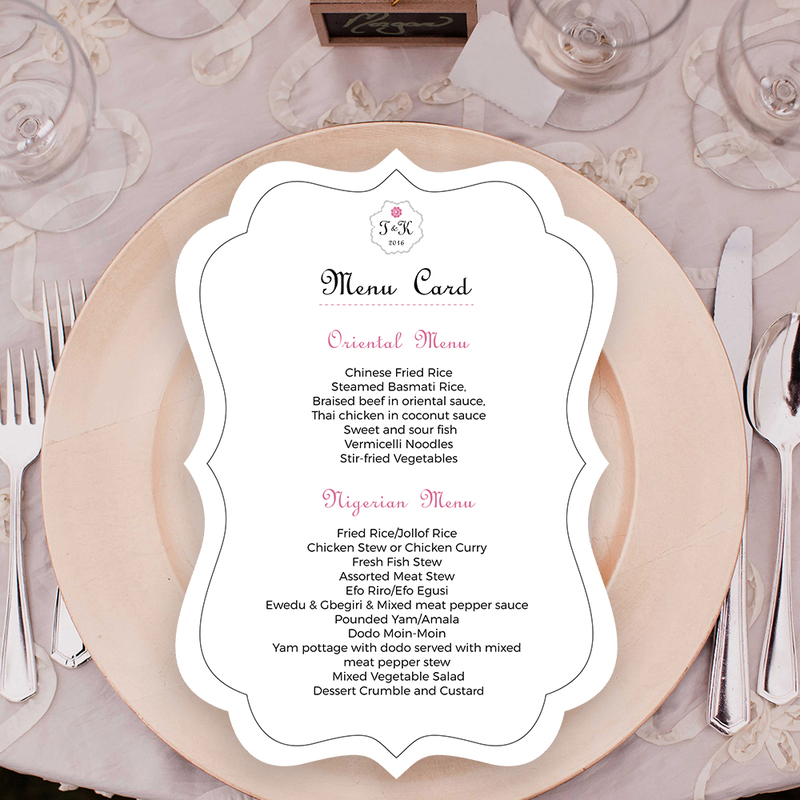 Dazzle your guests with the lavishly themed menu cards. The type of cuisine on offer and the categories of food and drinks are featured on a 300 gsm white art card with art décor styled patterns. Dazzle your guests with the lavishly themed place cards. 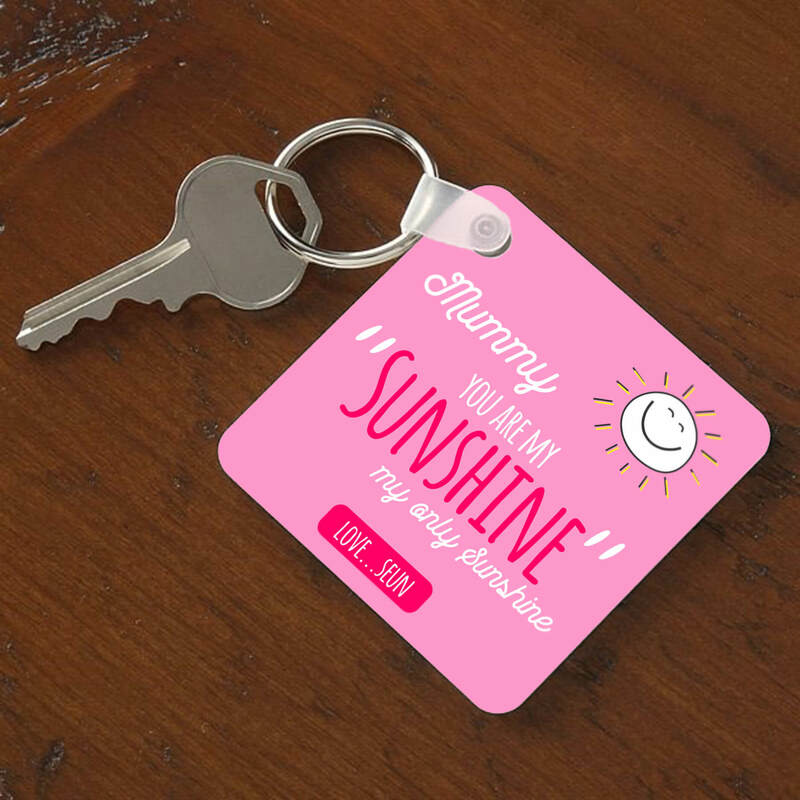 Make every table unique and personalized using family names, locations or even work and school acquaintances. 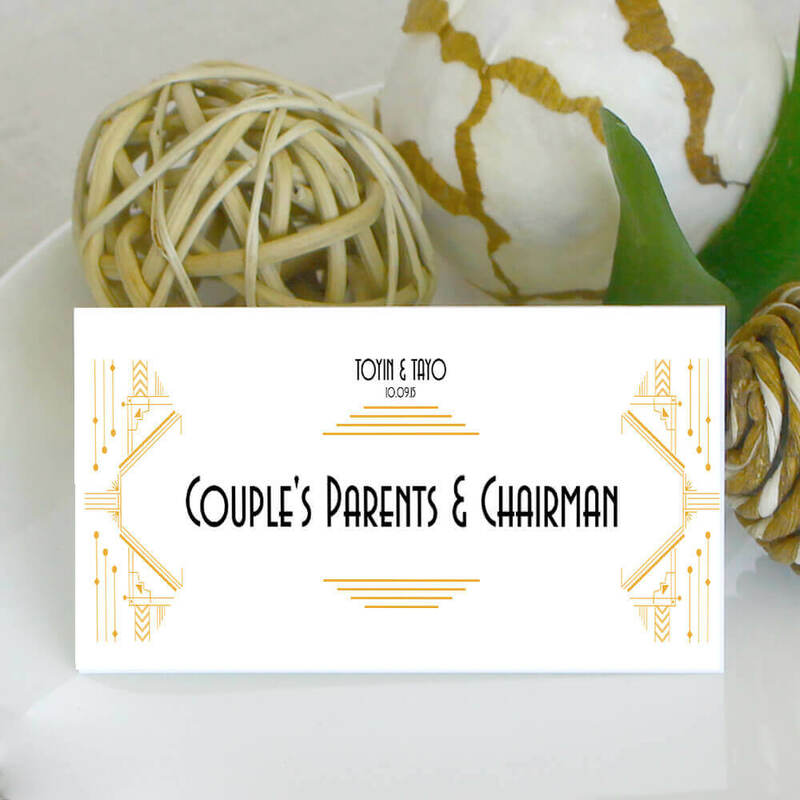 Place Cards are featured on a 300 gsm white art card with art décor styled patterns. 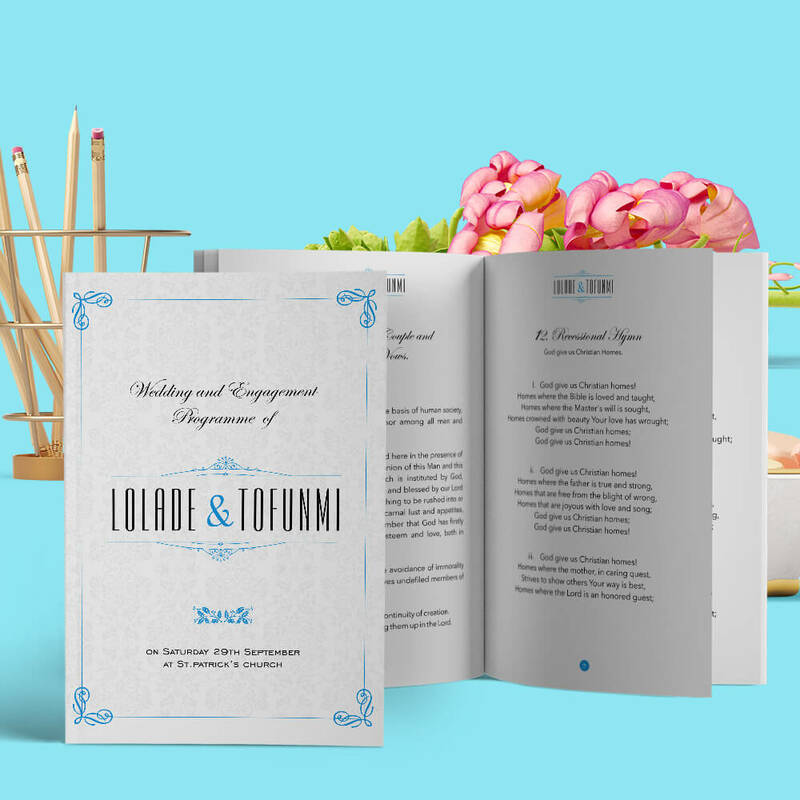 This wedding stationery item is a fancy way of telling everyone that you just got married. It is a 6 by 12 aluminum rectangular 0.20 inches thick plate. 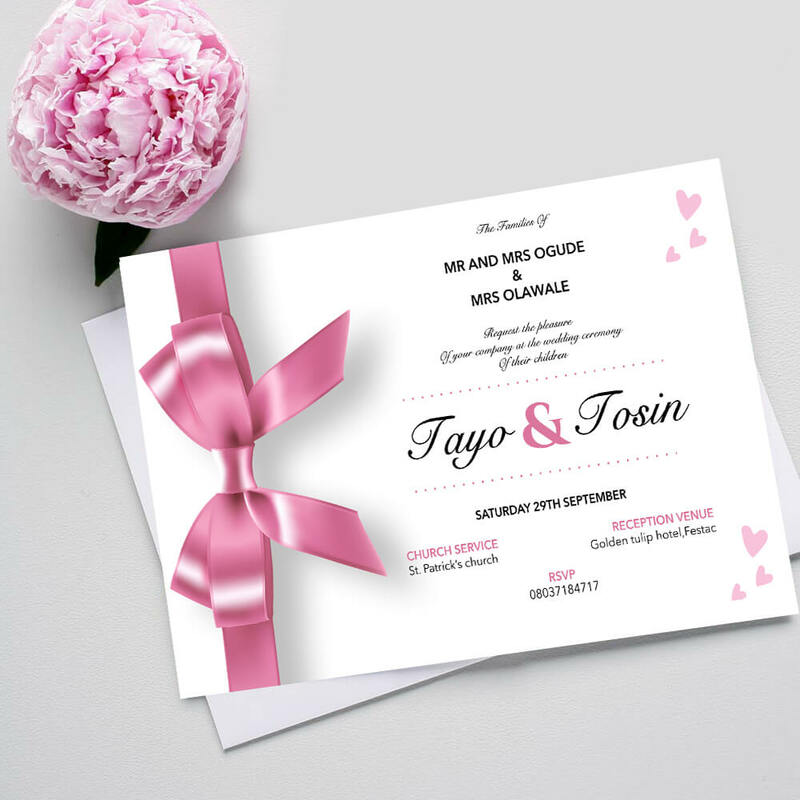 Now that you know the content of our wedding stationaries, you have an idea of what we’re offering. So, if you’re interested, don’t hesitate to reach out to us. Themed Weddings Are In. Here's Why You Should Look Into Them.